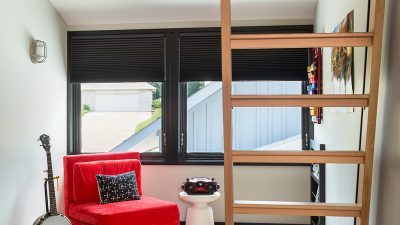 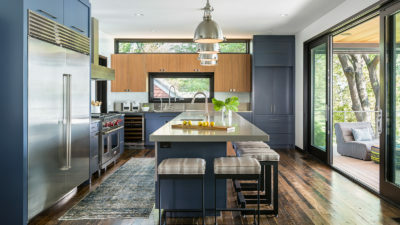 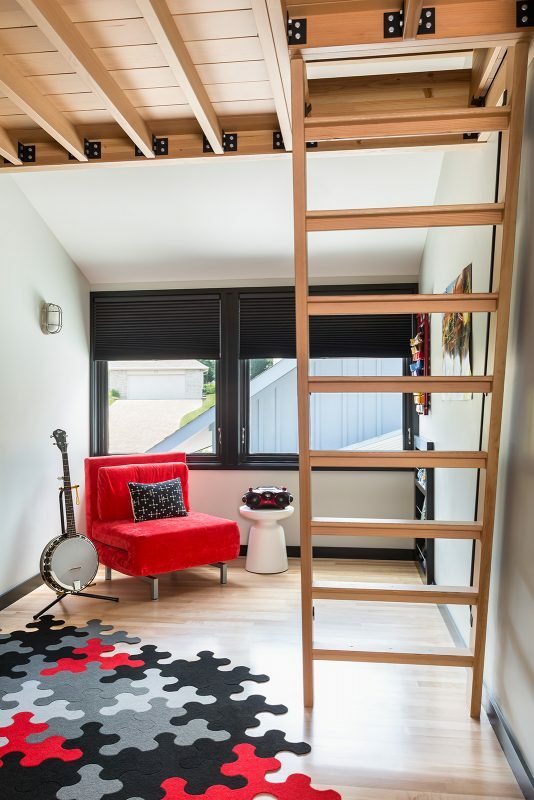 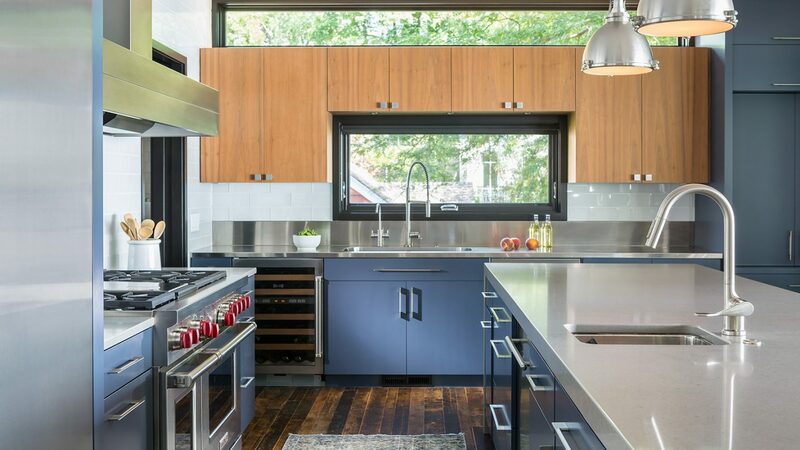 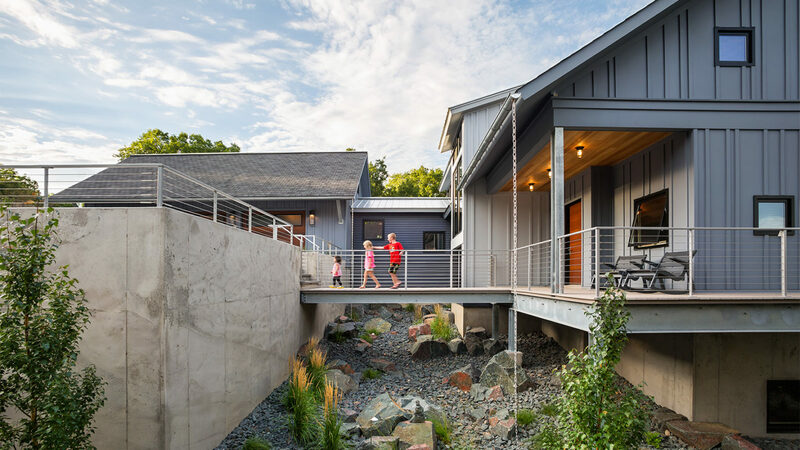 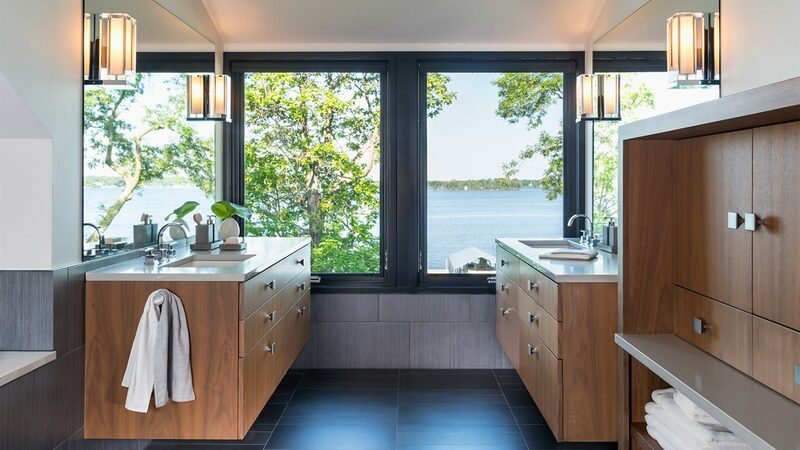 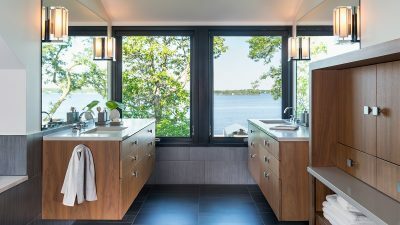 This home for a vibrant young family takes in the lake with wide expanses of glass in some spaces, and playful peeks at the landscape in others. A bridge leads to the front door and the moat below allows the steep grade to transition around the house and sensibly dispel runoff. The house has a no-nonsense open floor plan with a large wood burning fireplace anchoring one end, and a bright kitchen at the other. 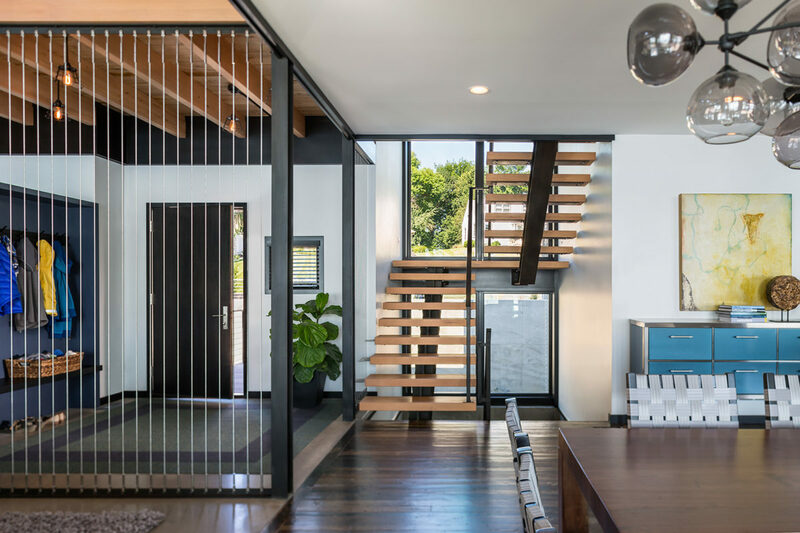 Sliding glass doors open up to a screen porch for full-on summertime. 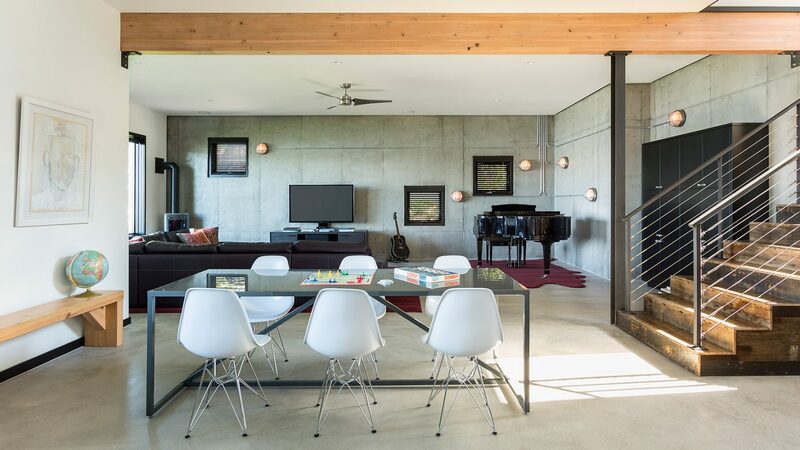 Confetti windows on the fireplace wall and a family-size reading nook hint at the dynamic personalities living here. 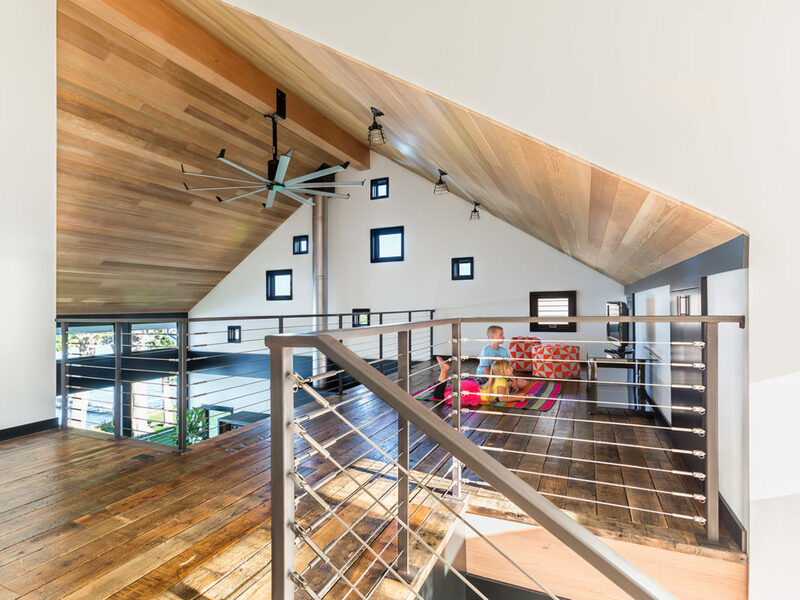 The reclaimed wood floor is able to take a beating from the small running, dancing and bouncing feet. 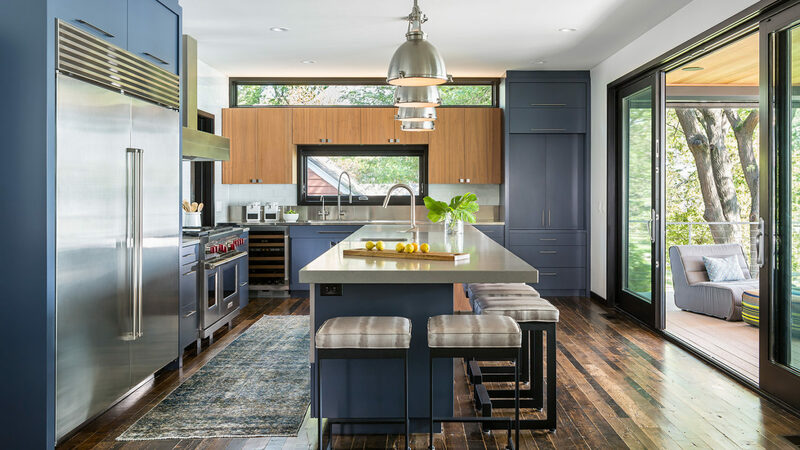 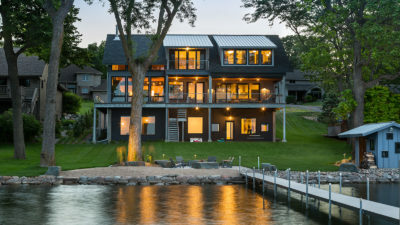 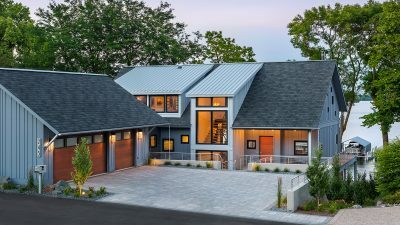 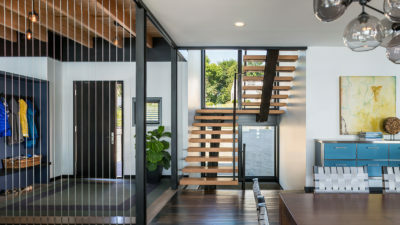 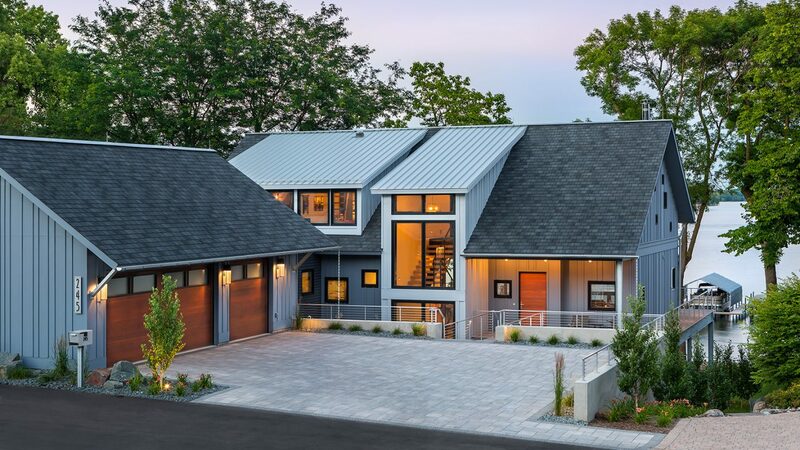 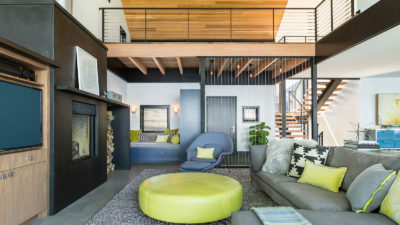 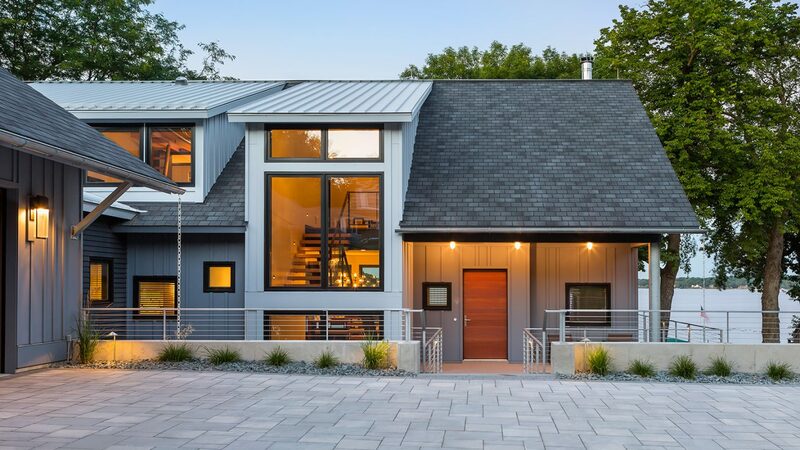 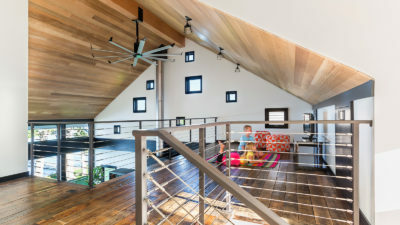 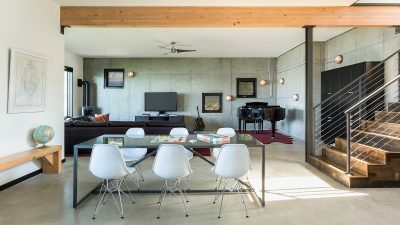 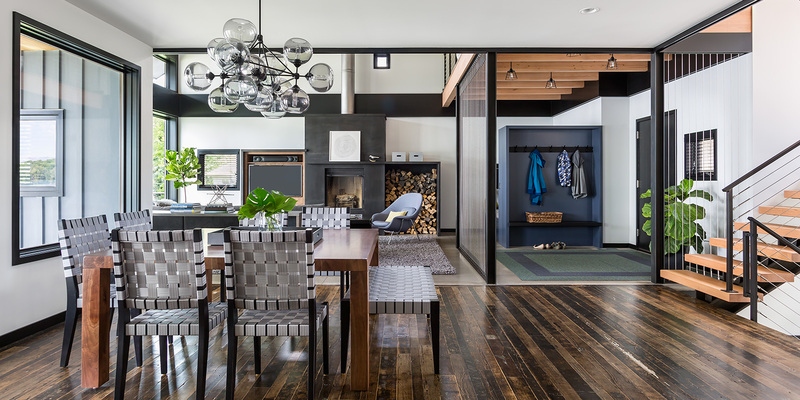 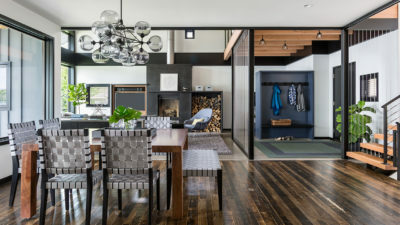 The home is a combination of practical, expressed materials such as exposed concrete and steel, but with a playful expression focused on family lake living.